Nothing compares to the quality and reliability of Beaver vending machines. The 1960's style features a licensed Dodge Gen 1 Ram logo placed on the durable ABS body of the machine. Each machine is pre-configured with a 25¢ coin mechanism that is not a Beaver but will still hold up strong. 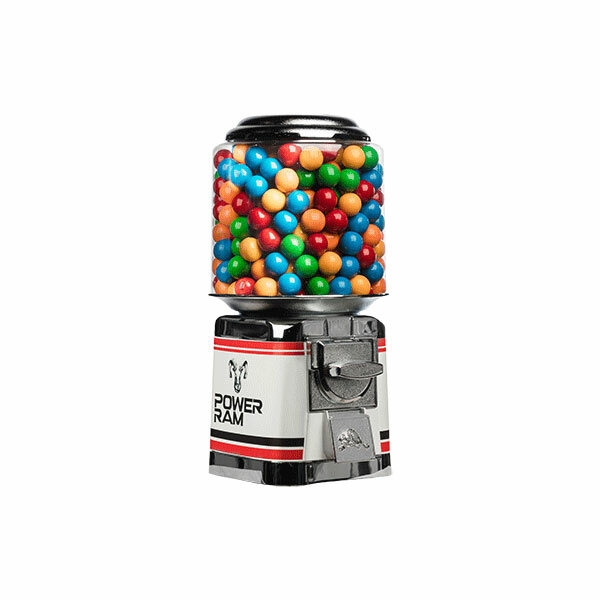 This machine comes with the option to dispense candy or gumballs. There is a 30-Day Warranty against any Manufacturer's Defects. This Automotive Beaver machine will make a great addition to any man-cave, garage, sports bar, or home theater.